Jasper van ‘t Hof is a pianist and composer. He is widely known for his virtuosic technique on the keyboard, and is one of the most active jazz musicians in Europe. His natural curiosity has seen him become one of the leading innovators in the European jazz scene, on both grand and electric piano, as well as on the synthesizer and church organ. It also enabled him to eschew the restrictions of a single style, allowing him to roam freely between bebop, free jazz, groove, jazz-rock, fusion, pop and world music. He’s been named best jazz pianist in Europe by international jazz magazines on several occasions, and has more than 500 compositions and almost 80 recordings to his name. 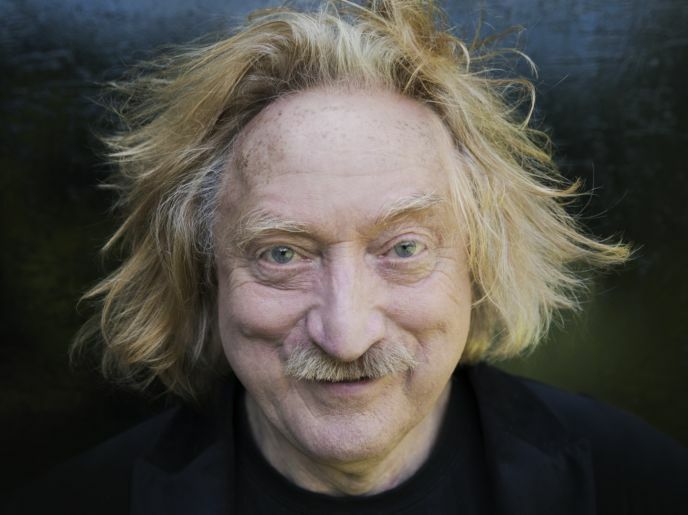 On 6 December Jasper van ‘t Hof will receive the Buma Boy Edgar Prize 2018, the most prestigious award for jazz and improvised music in the Netherlands. As part of the award, Van ‘t Hof will curate a concert evening at the BIMHUIS. From garage rock and no-wave to cocktail jazz: former Tom Waits and Elvis Costello guitarist Marc Ribot pulls out all the stops with Ceramic Dog. Flute player Joce Mienniel and saxophonist Sylvain Rifflet, both of them European jazz greats, collaborate with the piano trio of Rembrandt Frerichs, for the concert series Made in Europe. Scandinavian-American improv supergroup with a cosmic, psychedelic groove founded by drummer Gard Nilssen, featuring Hammond-organist and regular John Zorn-collaborator Jamie Saft. With his New-York-based CityBand, clarinet player Kinan Azmeh strikes a balance between classical, jazz and music from his homeland Syria. ‘Intensely soulful’ (NY Times). Boi Akih celebrates its 21 years of existence. Festive concert featuring percussionist Nippy Noya. ‘Fabulous singing, masterful guitar playing, inhabiting its own universe’ (de Volkskrant). Especially for New Year’s Eve the BIMHUIS & Muziekgebouw present the Temple of Music of host Martin Fondse and his Orchestra, who will invite all kinds of bands and musicians.